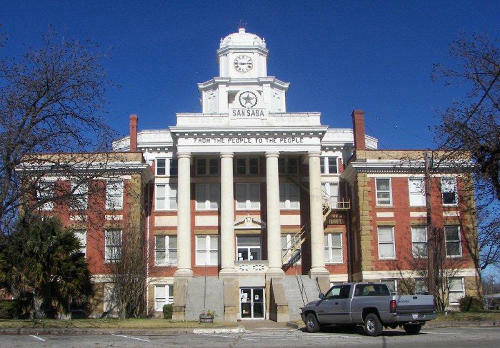 San Saba Texas history, historic courthouse, jail, tree & bridges, photos, travel. 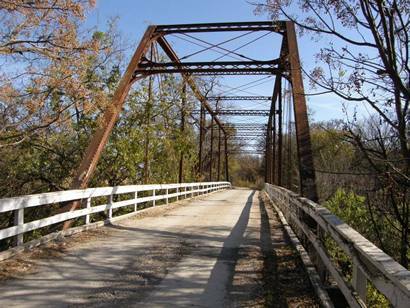 1855: Ranchers and cotton growers first settled the banks of the San Saba River, from which the settlement took its name. 1856: The county is organized and San Saba became the county seat. 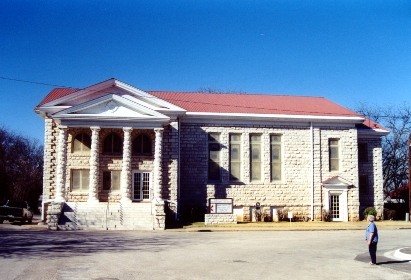 1857: The post office opens and the first county courthouse is built. 1873: The San Saba County News, said to be “ the first newspaper in West Texas” was published. 1900: The population drop below 900. 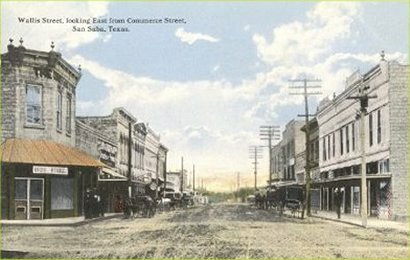 1911: The Gulf, Colorado and Santa Fe Railway came through San Saba in 1911 – and the boost to the economy allowed them to build a new courthouse. 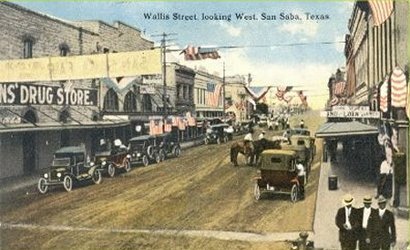 The Great Depression: San Saba weathered the 30s with minimal loss of population. 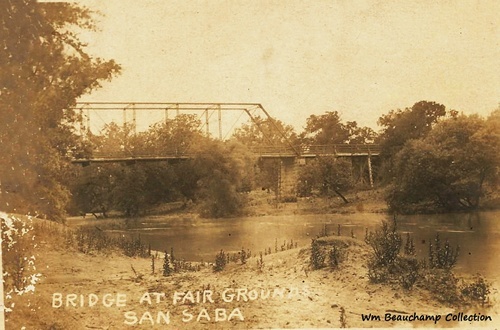 1938: San Saba is flooded with a third of the city underwater and many families were displaced. 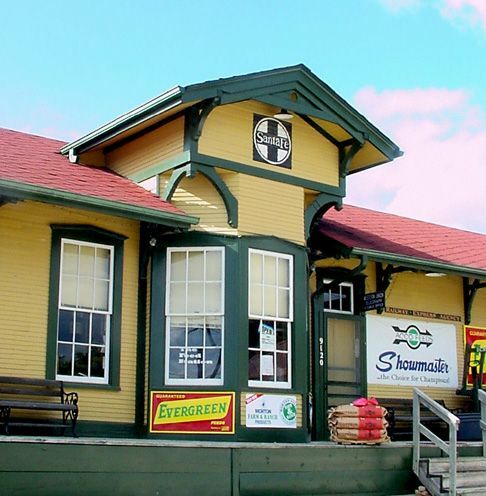 1940s: The town is incorporated and the population rises to 2,900 people. 1950s: The terrible drought of the early 50s affected San Saba and much of Texas. The population drops. 1980s: Population is 2,336 from an all-time high of 3,400. 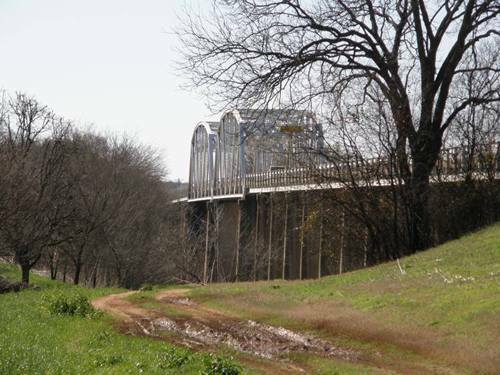 One of two suspension bridges, in the state of Texas, that are still used by cars and trucks. In Mill Pond Park – five blocks east of the courthouse. Open April to September or by appointment. 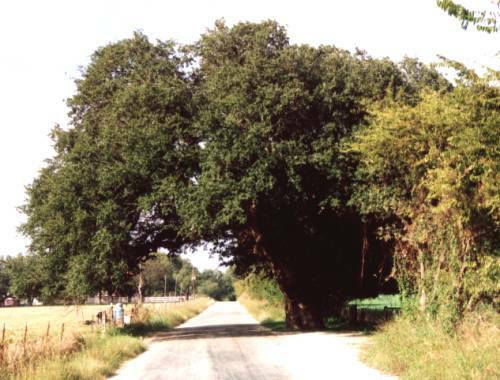 One of the “Famous Trees of Texas” the San Saba Mother Pecan has given the world more varieties of Pecans (through grafting) than any other individual tree. 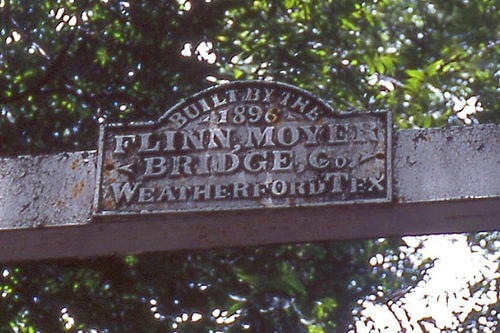 The tree is 9 miles NE of the town near the confluence of the Colorado and San Saba rivers, but is on private property. Both are just east of the town. 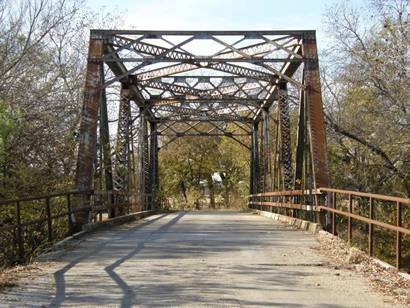 Mill pond is a small spring-fed lake and Risien is on the San Saba River. Mill Pond park has hookups for 12 RVs. 13 miles from San Saba via FM 560.